Your stomach is getting bigger. Stretch marks are appearing by the day. Acne is breaking out on your face and your ankles may be swelling. In the middle of pregnancy, you may not feel glamorous. But, it is so important to maintain a positive outlook on your body. Find out my top two reasons for staying body-positive during my pregnancy below. Sure, you may not feel glamorous right now. But, think about it. Your body is doing an incredible job right now. Inside of your belly, a whole life is being created and that’s pretty freaking amazing. When you look at what the outside of your body is going through, it doesn’t seem so bad when you compare it to the life that’s being created on the inside. So what if your ankles are puffy? So what if you’ve got a bit of acne? Inside of your belly an entire person is being made, cell by cell. And this body of yours is responsible for all that hard work. Rather than getting caught up in your current physical appearance, try to think about how grateful you should be that your body is doing such a hard job creating that little human inside. I know that this is easier said then done, but for me, thinking about the fact that I was creating an entire life inside of me helped me not get so stuck on the little things happening to my body during pregnancy. And it is worth noting that most of the annoying things happening to your body will go away after your baby is born. 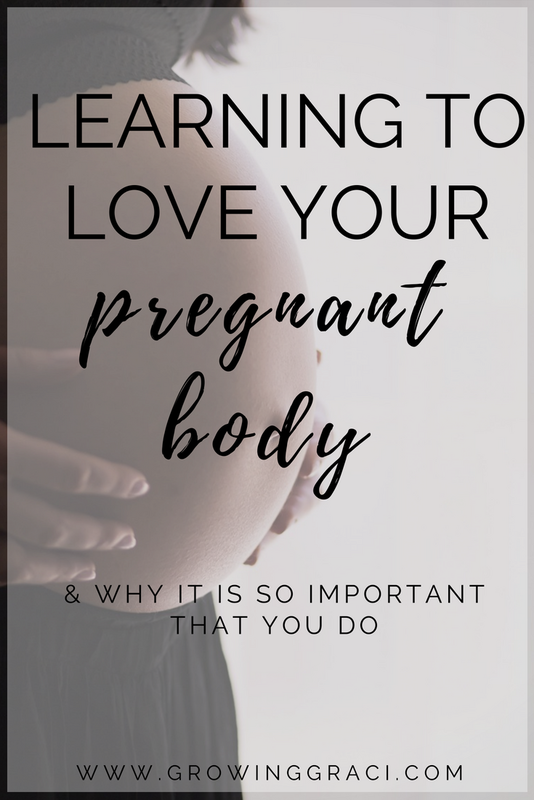 Sure, you’re body won’t be the exact same as it was before pregnancy, but I promise you that you will feel like yourself again soon. Trust me! I have lived to tell the tale! There were days during my pregnancy in which I legitimately felt ginormous. But, every single time I uttered phrases like “I feel huge!” or “I’m a beached whale!” I felt guilty. Because I never want my baby girl to grow up in a home where her mother says self-deprecating things about her body. In a world where girls are combated with make-up commercials, ads with skinny models and unrealistic expectations of beauty, the last thing my little girl will need is a mother that falls into these societal pressures. I have a duty to my daughter to be strong. To find the strength to ignore things that society may not see as perfect. I have a duty to show my daughter that there is so much more to life and happiness than how our bodies look. 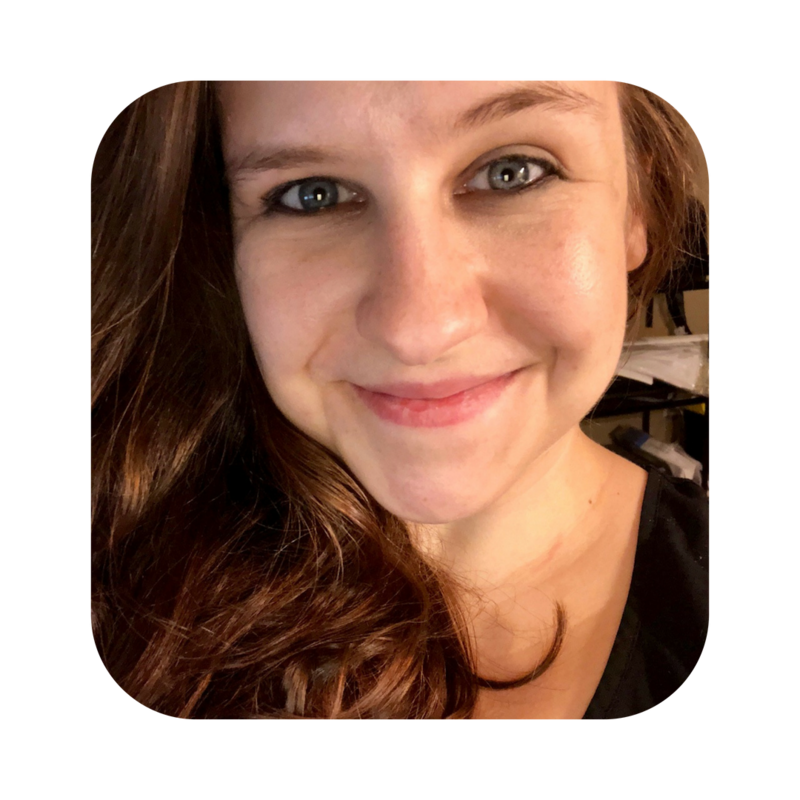 So, I looked at pregnancy as a test run. It was the last opportunity to practice before little ears took in every single thing I said. At almost 14 months postpartum, I’m proud to say that I wear my stretch marks proudly. Living in sunny Las Vegas means going to the pool all summer. Have I let my stretch marks keep me from wearing a two-piece? Has my jiggly belly kept me from wearing that two-piece? Nope to that one, as well. If you wouldn’t want your daughter to feel badly about her body, then set a good example by loving yours. 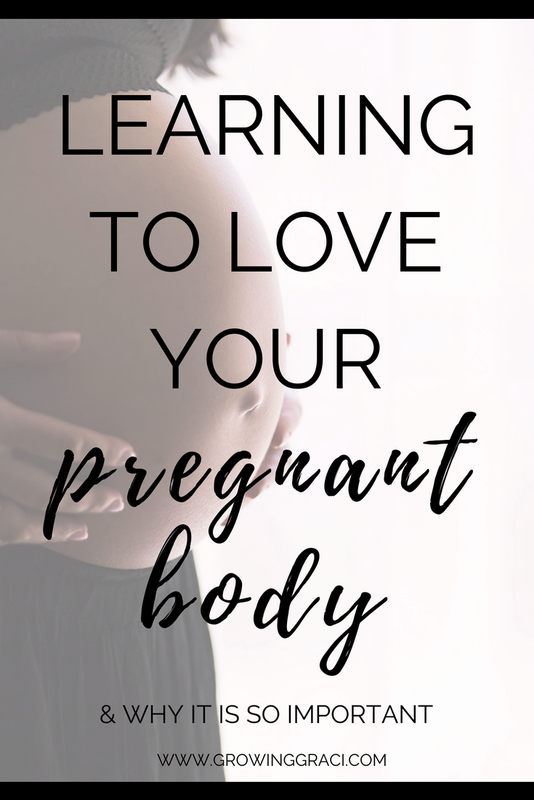 I know it is absolutely a battle to keep yourself positive about the changes that your body is going through during pregnancy, but it is so important. Mommas, how did you keep yourself positive about the changes that happened to your body when you made your little one? I’d love to hear from you below.